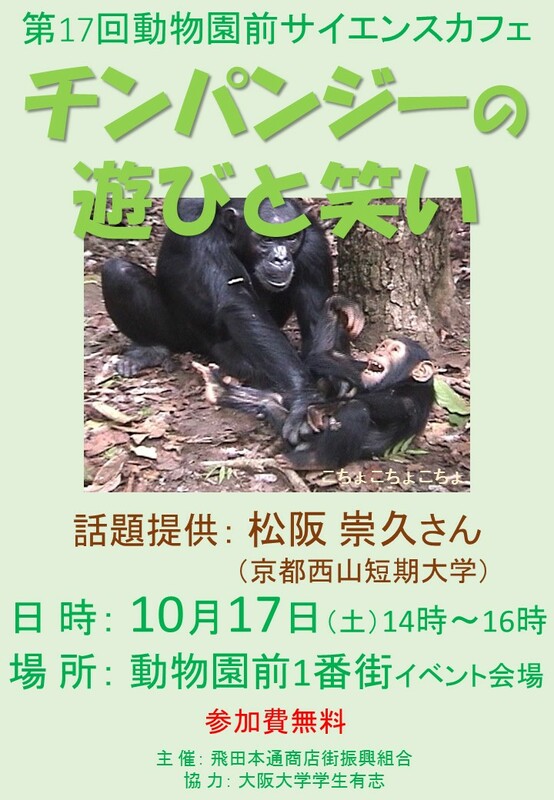 17th Dobutsuenmae Science Cafe: On October 17th, Takahisa Matsusaka talks on chimpanzees, who play and laugh similar to us. Dobutsuenmae Science Cafe is an international chat space in Dobutsuenmae 1st Avenue, close to Tennoji Zoo. On coming October 17th, Takahisa Matsusaka, Kyoto Seizan College, talks on play and laugh of chimpanzees. Chimpanzees are the closest evolutionary neighbor of us. Studies on their social behavior help us understanding the origin of human society. They play and laugh similar to us. Let’s discuss the meanings of play and laugh in our ordinary life, after watching those behaviors of chimpanzees. 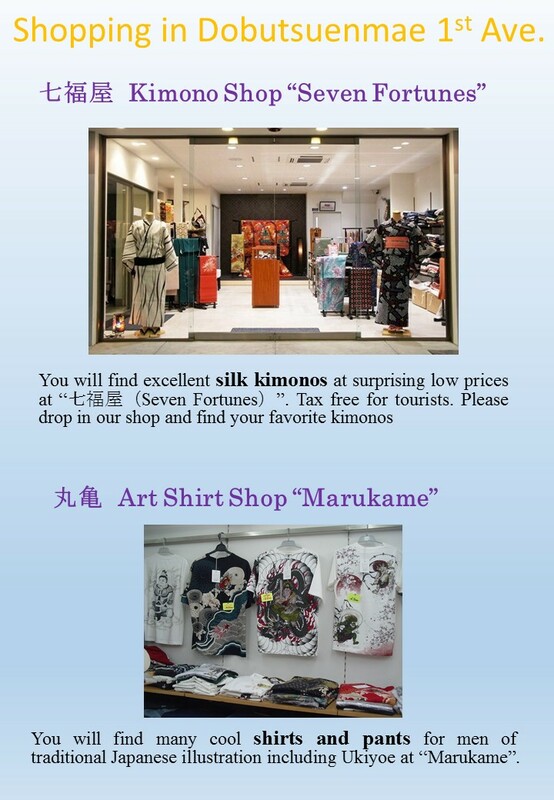 Please come on in Dobutsuenmae Science Cafe at 2:00 p.m. on October 17th, to enjoy a chat on your interests !